Pokémon FireRed Version (AKA ポケットモンスター ファイアレッド & リーフグリーン Poketto Monsutā Faiareddo & Rīfugurīn in Japan) is a role-playing game (RPG) developed by Game Freak and released for the Game Boy Advance console in 2004 along with LeafGreen Version. The game is a remake of the original Game Boy’s Red Version. Gotta Catch ‘Em All!!! 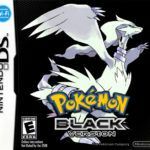 Although other Pokemon game types have been made, this saga is still best played as an RPG. In FireRed Version for the Game Boy Advance, the character starts the journey by finding, collecting, and battling monsters. The goal is to defeat all eight Gym Leaders and take on the Elite Four while having fun. Those who have played a Pokemon RPG before will be familiar with the gameplay of FireRed Version. To start with the basics, six monsters can be carried at any time. The goal is to attack another one during a battle using characters and moves that can deal the most damage to the opponent. Aside from battling monsters, there’s also a bit of exploring as the hero goes around talking to people to get information on what to do next. Controls are simple and since the results of the battle is decided by strategy and not reflexes, FireRed Version excels in this area. Buttons are well-assigned, which makes mastering the controls much easier. 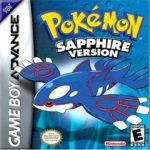 Graphics for Pokemon FireRed Version are the same with Ruby and Sapphire. Character sprites are well drawn and now represent what the artists had in mind. Although not groundbreaking, it was additional help to players. Visually, everything was an improvement over its SNES counterparts. The character’s reflection on water was real eye candy. There are lot of music remixes in this game coming from Red, Blue, Silver, and Gold releases. 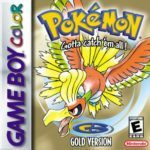 Even the cries of each Pokemon have been carried over the FireRed version and although it’s not bad, the sound engineers could have improved on them a bit. Pokemon FireRed Version is an improvement over the previous releases. It makes good use of the Game Boy Advance technology to its advantage. 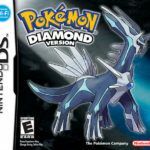 Do you want to play more Pokemon games online? You don’t need it… You can just play the game online!